The Lee Stafford Wonderball Waver (with Arganoil from Morocco) is a ceramic coated wand with a bobbled design to create beautiful waves easily. These style wands have become increasingly popular over the last year and I think that's because of the ease of using them, your hair just falls into the grooves helping achieve a looser, casual wave rather than a tight curl - common of the conical wand. 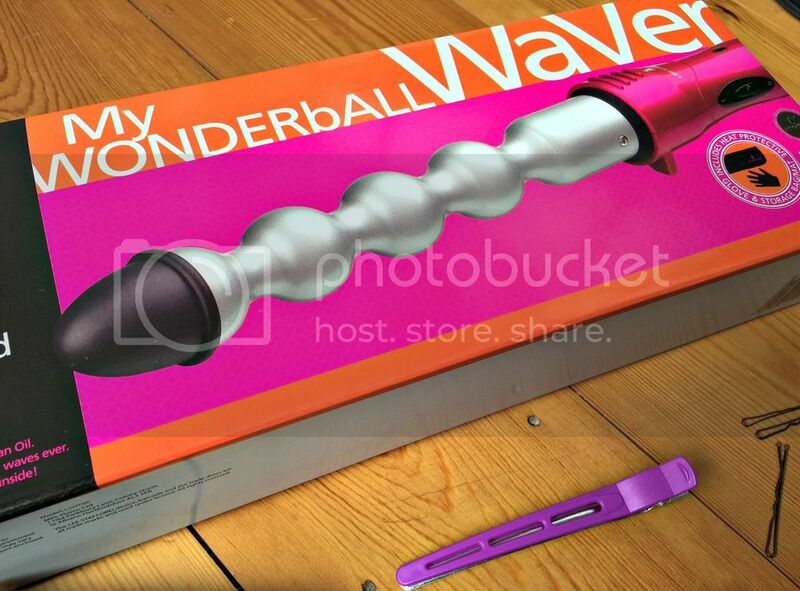 The great thing about the Wonderball Waver, is how easy it is to use. You just hold the wand with the cool tip pointing towards the ground and wrap sections of hair around. I usually take quite large sections and alternate to create a more casual finish. I do always start with twisting away from my face though. Using the Wonderball Waver, I must admit I do notice a nice shine to my hair, and I'd imagine that is to do with the Arganoil infused ceramic barrel. I usually finish any waves or curls I wear in my hair with a little oil run through the mid lengths and ends to add shine. The Wonderball Waver doesn't snag or catch your hair, and the swivel cord really helps when moving the wand around your hair. I popped up a picture on my Instagram of the waving results - great for ladies who want casual waves with lots of movement. One thing I was disappointed in, was the fact the wand doesn't have an adjustable temperature. These days it's a pretty common feature for any heat styling tool, and enables the user to adapt the heat being used to their hair. The Lee Stafford wand heat temperature is set at a standard of 200 degrees, which is towards the top end of temperature for most stylers. It's good value for money at around £30 from most high street retailers, and the instructions that come with the booklet, along with the heat protection glove and heat protective mat (which doubles up as a great 'wrap' for storing the wand when not in use) are very handy. Ooh, worth mentioning, you also get a two year guarantee, which to me says confidence is pretty high nothing is going to go wrong. 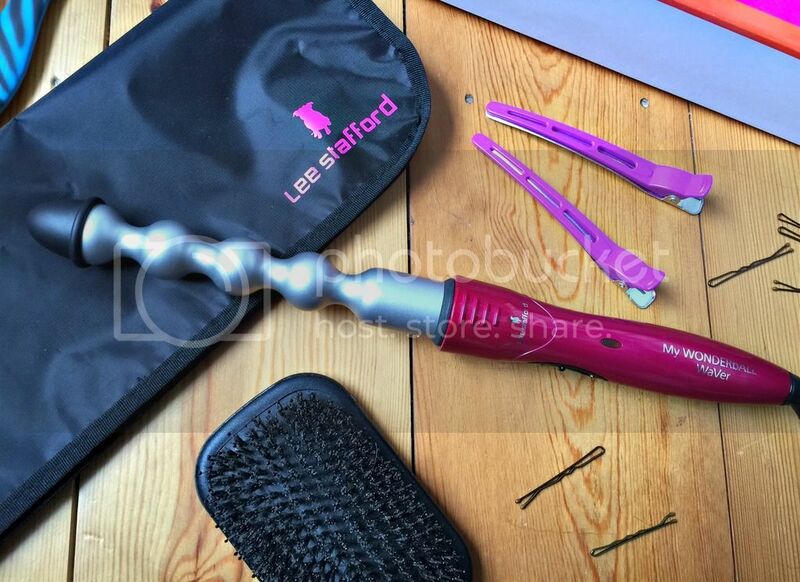 So if you are looking for an easy to use styling tool that creates more of a beach wave than a curl, and have medium to thick hair, then I'd recommend the Lee Stafford Wonderball Waver.